Dehydration is a state of existence that many in the hunting world find themselves in by accident. In the name of being conservative many backpack hunters forego getting enough water and act like nothing’s wrong for a few days while the mild headaches set in. Don’t do it, there is never an excuse to put yourself in an unsafe position due to a lack of water. Finding water, even in the higher elevations, is possible in just about every hunting season within 1000 feet of elevation and to top it off there is no shortage of ways to purify it into drinking water. 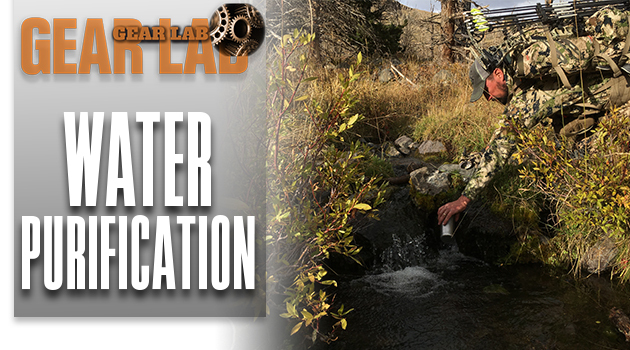 So let’s dig into this Gear Lab and take a look at a variety of water purification methods that can be used in a variety of settings. 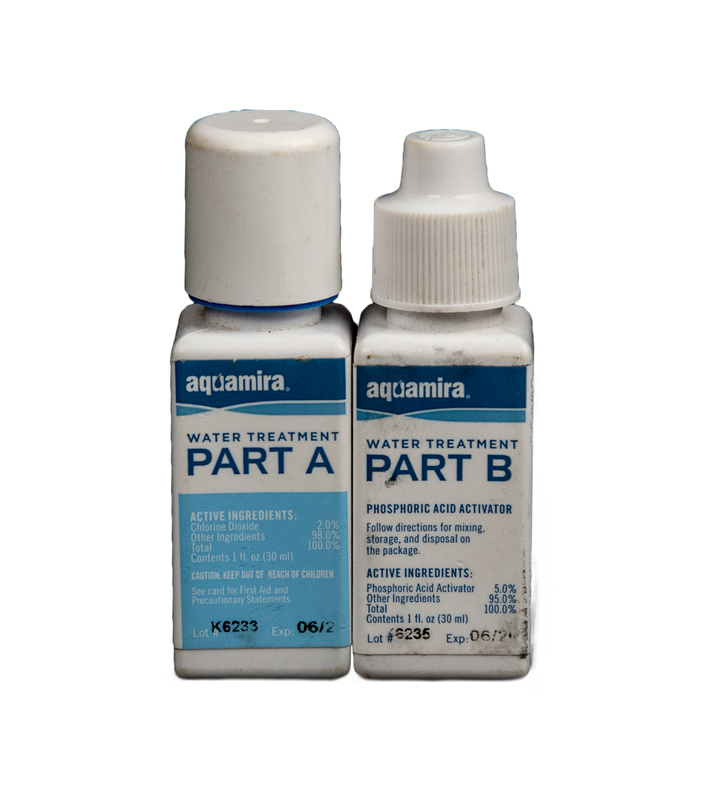 When you are counting ounces it’s hard to beat what Aquamira has to offer. Simply mix part A with part B in the lid, wait 5 minutes and then pour into your water container. It’s really hard to beat in terms of weight-to-purification power. When hunting from the trailhead or even on extended trips to the backcountry where I know that there are steady streams of water this method of purification is really hard to beat. There is one place that I have killed more elk than any other. It’s my go to spot late in the season when it’s time to get the job done, fill the freezer and usually bring home a bull. The problem with this spot is that there is only one seep to pull water from and the bulls have turned it into one giant wallow. I won’t even go through what the elk have done to this area. This is where the Katadyn Vario shines with its dual piston design and three phases of water filtration that take some of the worst looking water I have ever filtered and turn it into cold, thirst quenching refreshment. LifeStraw has always been an innovator in the hydration game but up until now it all came lying down… on your belly sucking water from whatever source you chose. Obviously, I’m joking as there have been a myriad of ways to use the LifeStraw products but now the company has introduced a straw adaptor that fits into various screw top lids for an array of popular water bottles. I am excited about this possibility because I hate carrying water on my person, unless the area demands it. I’d rather drink my water where I can find it, as close to the source as possible, and this new kit from LifeStraw makes doing that very easy. Select the correct cap for your bottle, assemble the straw portion into the cap, fill your bottle and insert the cap/straw combo, screw the top on tight and drink away. I find that this 3.3 oz setup will keep me hydrated in about 90% of my hunting and outdoor excursions… simple, convenient and portable; all qualities that make the new LifeStraw Adapter kit a must-have for me. 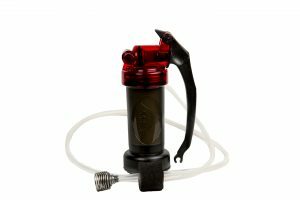 This system can be found at https://shop.lifestraw.com/ for $34.95. Utilitarian, light and of course tough as nails fits the MSR Miniworx filter to a T. Pumping water in the age of the ultralight backpacker mindset has for many become a thing of the past. That is until you encounter a situation where you really need a way to pump water out of that small seep. Sometimes the only way to purify that puddle of water is to pull it through a pump as it’s pretty much impossible to drop whatever vessel it is you choose to haul water in. When your primary source of water to filter is a puddle the 16.2 oz MSR Miniworx goes to work, pun intended. On a 2017 Alaska float hunt I got to test these two products out from Sagan. 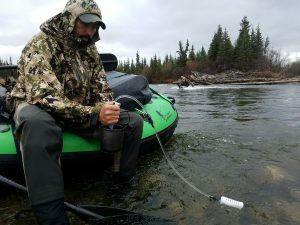 Sagan’s tagline of “Safe Water Anywhere” proved true while float hunting for moose and caribou on a remote river in the Arctic National Wildlife Refuge. For 13 days, my friend Casey and I were on the adventure of a lifetime, pushing ourselves both mentally and physically in vast wilderness. One of my biggest downfalls on backcountry trips is not staying hydrated well enough. I’m not a big water drinker on a daily basis so when I’m exerting myself either by hiking or franticly rowing on a fast river full of rapids, I have to remind myself to stop and take a drink. Thankfully, companies like Sagan exist and keep coming out with easy-to-use products like their the XStream Straw and the Journey Filter Bottle. The XStream Straw was the most used piece of gear on this particular adventure (besides the Garmin inReach and the rafts and paddles from Pristine Ventures). The XStream Straw can be used to either drink directly from the water source or to pump freshly filtered water into your water reservoir or bottle. By squeezing the bulb before submerging in into water and then letting the bulb fill up with water from the river or lake, you can squeeze healthy water into your water reservoir or bottle. The Journey Filter Bottle is even easier to use if all you are looking for is a simple drinking solution for one person. Simply unscrew the top, dip into the water source and screw the top back on. Pop open the mouth piece and you have ready-to-drink water. Sagan products have the Aqua Veritas (independent Micro Water Filter Quality Association) tested and approved Sagan Journey Filter, delivering up to 250 gallons of purified water (not including salt water). The filter gets rid of 99.9999% of bacteria, 99.99% of virus’, and 99.99% of cysts such as giardia and cryptosporidium. The XStream Straw system weighs 5.7 oz. without the bite valve, an additional 1.9 oz. with, and is regularly priced at $74.99. 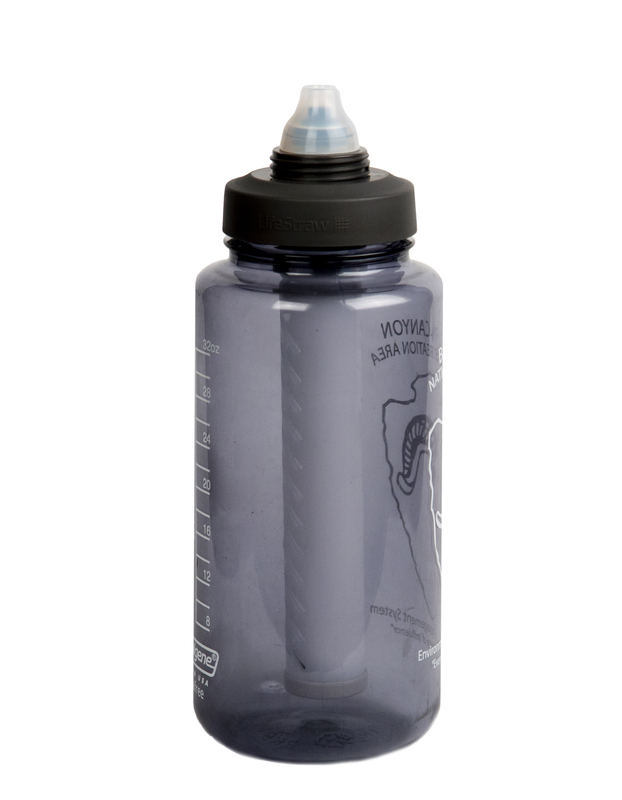 The Journey Filter Bottle weighs 9.1 oz. and is $74.99. Both can be purchased at www.kellykettleusa.com. The post Eastmans’ Gear Lab: Water Purification appeared first on Eastmans’ Official Blog | Mule Deer, Antelope, Elk Hunting and Bowhunting Magazine | Eastmans’ Hunting Journals. Next articleThe Wyoming Grizzly Hunt Is On! Idaho CWD Regs- And How They Effect You! Grizzly Bear Crisis In Wyoming! Alpine Start Instant Coffee Giveaway!